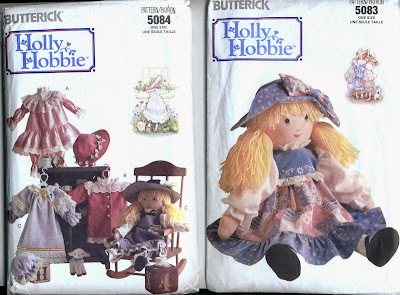 In 1990, Butterick issued a pattern to make a 16" cloth Holly Hobbie doll wearing an old fashioned dress and floppy hat, and a separate pattern to make a wardrobe of clothes for her. The doll looks fairly simple to make, but has some unusual construction elements. Her head is shaped with darts, and her yarn bangs are sewn to the top of the face piece before the doll is put together. The rest of her hair is applied after she is stuffed. 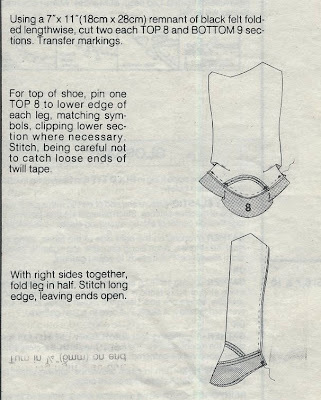 Each arm is made with one piece of fabric; the back seam of the arm is more like a dart. Her shoes are sewn to the bottom of her legs to form her feet. She has a rear end shaped so she can sit. 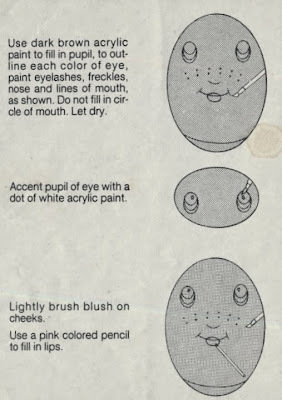 Her facial features are meant to be painted on, but you could embroider or draw them with markers as well. 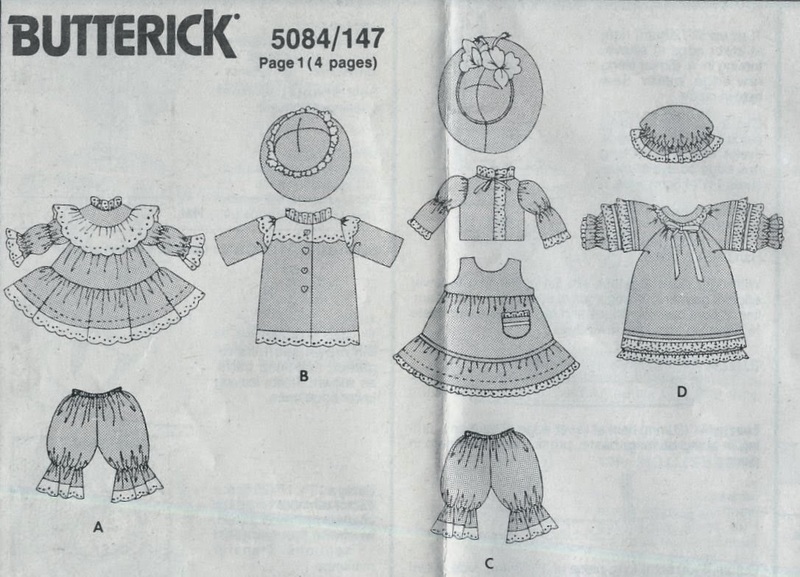 The clothing pattern that comes with the doll pattern makes a dress with lots of gathers, and a floppy hat with bow. 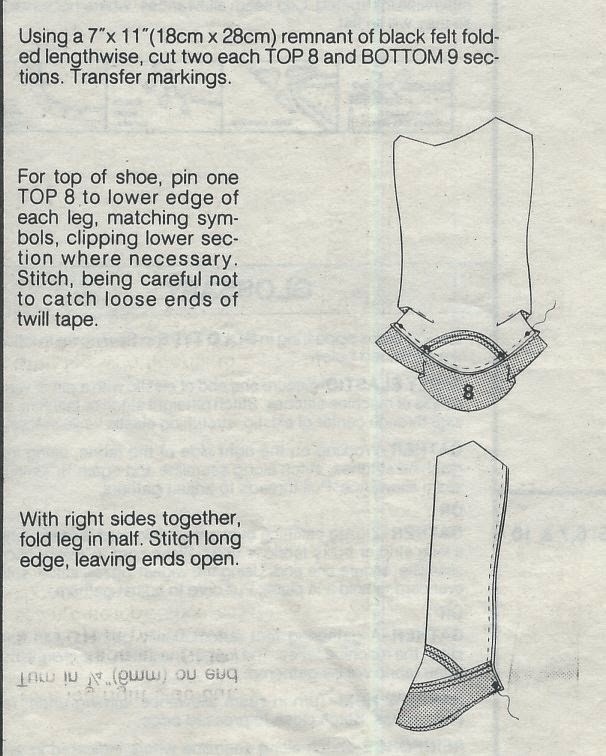 No underwear pattern is included. The separate clothing pattern makes a jumper with blouse, bloomers and hat; a dress with bloomers, a coat and hat, and a nightgown with night cap. Everything is trimmed with eyelet ruffling. The sleeves, bloomers and night cap are all gathered with elastic. The buttons on the front of the coat are decorative only; it closes with snaps, as do the blouse and dress. The nightgown has a velcro closure. 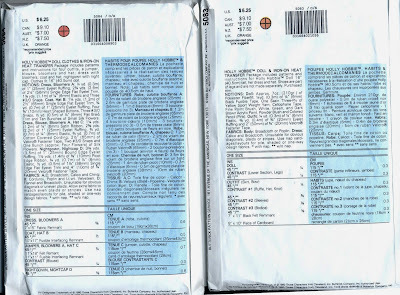 The patterns both include iron-on transfers of the Holly Hobbie logo. It would have made much more sense to have the transfer for her facial features, or the design on her dress, rather than having to trace them from the pattern piece or paint them freehand.